Yeah, I know; you have things to do. You don’t want to spend all of your time writing about said things, when you could be getting down to business and getting them done. 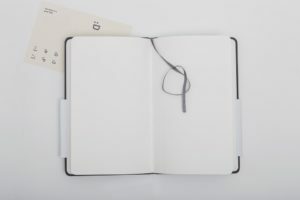 But while To Do lists may seem like an overrated and somewhat trite concept, the fact is that when used effectively, these little lists can prove to be tremendously invaluable. To show you what I mean, let’s dive right into it and look at the ‘why’ and ‘how’ behind great To Do lists. First, let’s look at what a To Do list is NOT. A To Do list is not a catch-all for all of your daily occurrences, nor is it something that should overwhelm or stress you out. Finally, it should be a good use of your time, and not something that you do simply because it seems productive. The problem, Loder continues, is that people confuse quality and quantity. It makes sense when you think about it –it’s easy to feel like checking things off your list means that you’ve accomplished a lot. But this overinflated sense of accomplishment doesn’t necessarily mean that you’ve been productive. In fact, as I’ve discovered, many times the things that you put down on your list –emails, voicemail, and the like –are things that are better off being outsourced. 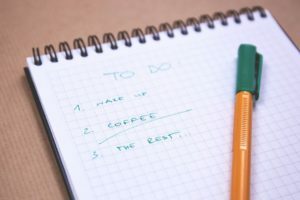 Now that we’ve seen what not to do, let’s take a look at some tips for creating an effective To Do list; one that will help to keep you organized, on track, and will allow you to accomplish some of those high-level tasks. While anyone can perform a brain dump of all the things that need to be accomplished, to make the most of your list, there are specific things you should keep in mind when charting out your day. Write It the Night BeforeBy writing out your list the night before you enable yourself to start the morning with vision and clarity. It could even help you sleep better, since you won’t be lying awake all night feeling overwhelmed by of all the things you need to do the next day. Chart the day out the night before, and get off to a good start in the morning. Be SpecificNothing crushes a To Do list quite like having a mile-long list of vague tasks. Instead of listing something unclear, like “Get Organized,” or “Get Investor Funding,” try breaking things down into smaller, doable steps. Instead, write tasks like, “Find a system for organizing files,” or “Create positioning statement” –much better projects for a To Do list. By being specific, you’ll know exactly what you need to accomplish and will be far more likely to get it done. 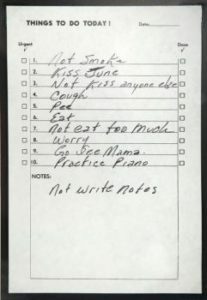 Take a look at this To Do list –by Johnny Cash himself. Of course, I don’t recommend that you get that specific! But then again it did sell for $6,400. 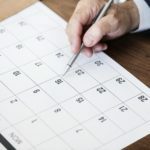 Allow FlexibilityWhile lists are great, it’s also important to keep in mind that you can’t plan every minute of your day. Instead of scheduling things back to back, try to leave at least a 15-minute window in between tasks to allow for unexpected interruptions or delays. Flexibility also allows you to make room in your day in case something important comes up. Start Fresh DailyThere’s nothing wrong with having a routine or a running list of things that you need to do. But if you’re busy, and find yourself facing a number of varied and unpredictable tasks, it may be best to start fresh every day with a new list. The act of jotting down tasks will allow you to visualize everything that needs to be done, helping to make you more productive. Add Info That You NeedIf you can, try to jot down relevant info that you need to get started on your task. This includes phone numbers, links, and more. This will save you from having to spend time searching for the information. Instead, you’ll be able to dive right in and get to work. Get Your Priorities RightOne of the most important parts of a successful To Do list, is ensuring that you’re getting your priorities right. Some people suggest running through your To Do list and ranking the items on your list in order of priority. ‘A’ would be very important, while ‘F’ would be used for noncritical tasks. This will help you to keep focus and ensure that the most important things get finished. Tackle the Important Thing FirstBe sure to prioritize the most important item on your list. Getting the most pressing issue out of the way first, or at least early on in the day, will help to get your morning off to a great start, and set the tone for the rest of the day. You’ll be able to devote your best time to it, and won’t have it looming over you anymore. 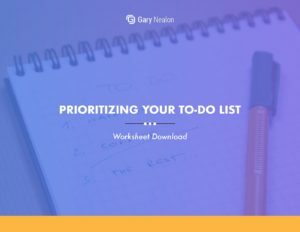 Get our Prioritizing Your To-Do List Worksheet delivered right to your inbox. When it comes to To Do lists, function and form both matter. 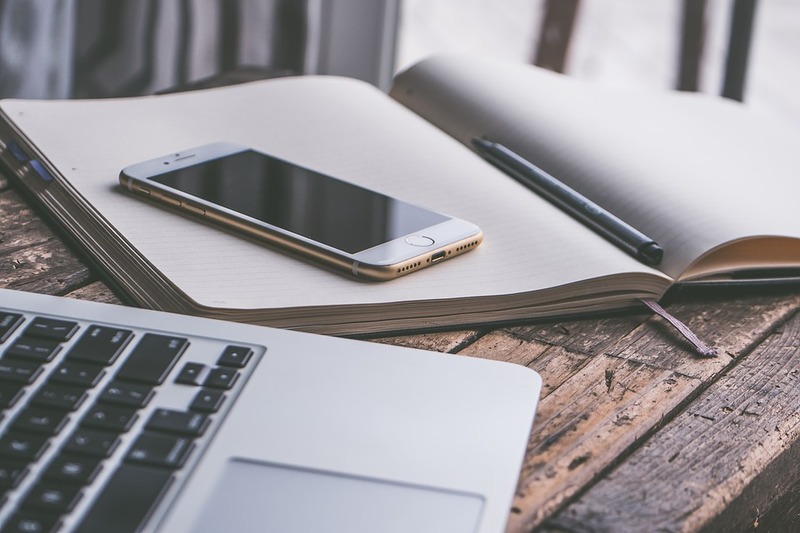 There are a lot of different systems that you can use to create your list, but there’s a couple that stand out from the rest. Let’s look at them now. Warren Buffet understands the importance of prioritizing. While Buffett and Flint were talking about goals, rather than simple items on a to-do list, the concept’s the same whether you’re working on high-level plans, or your daily tasks. What makes this strategy so valuable is that it helps to make us aware of how much time secondary tasks take. Once you eliminate –or outsource the time drains, you’ll be able to focus on important things that deserve your total attention. Wondering how to decide which tasks stay and which ones should go? Can it only be done today? Does it help me meet my bigger goals? Can, or should it be outsourced? The four-quadrant Impact Vs. Effort approach is another method for prioritizing your To Do list. To use this approach, start by listing out five to ten of the most important tasks, and then rank them based on impact and effort. That is, how crucial those tasks are, and how much effort they will require to accomplish. With this system, get started with the high-impact, low-effort goals first, to get your day off to a good start. Next, you should focus in on the high-impact, high-effort goals. Ideally, this will be at the peak of your day when you are operating at your finest. These tasks will require a lot of effort, but will still be rewarding. After that, turn your attention to the low-impact, low-effort goals. After working hard on the high-impact items, these low-effort tasks will give you a bit of a breather. Finally, finish up with the low-impact, high-effort items on your list. These are things that while they require a lot of effort, their impact isn’t that great. Focus on working away at these items slowly but surely, even if that means you work a little on them each night. These are also the tasks that should be on the backburner, the ones you visit after the important tasks have been completed. Todd Herman from the 90 Day Year has a simple yet effective solution for organizing the To Do list. 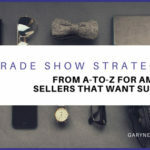 He suggests prioritizing tasks by the value they bring to the company, or, what’s going to move the needle, while downgrading the low level tasks. This allows you to devote your attention to the high impact tasks that will get you the results that you’re looking for. If you’re forecasting what you want to achieve over the next 30, 60, 90 days, ideally, everything on your To Do list should be taking you one step closer to those goals. 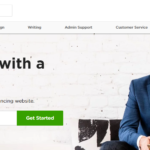 Note: As a side note, if you’re struggling with scaling your business, or just trying to get tasks completed, be sure to check out Todd Herman’s 90 Day Year program. I went through this course and it really was a game changer for me. I can’t recommend it highly enough. According to one study, Fortune 500 CEOs averaged only twenty-eight minutes of uninterrupted productivity per day. Your day might look different, but you’ll still face interruptions. So try to carve out time where you can work, without distraction, and as productively as possible. This could mean scheduling an end time for your appointments, or allotting a certain block of time during which you handle all of your phone calls. We waste an incredible amount of time on tasks that could easily be outsourced –or even eliminated altogether. The fact that we spend so much time on menial tasks shows that we just don’t value our time enough. But don’t be fooled, a small task can quickly turn into a ‘brain drain’ if you’re not careful, and will eat away at your mental energy. 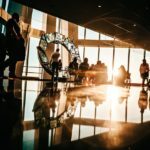 At this point, it will have become a bigger task, rather than just a small, insignificant one –and you’ll want to resolve to complete it as soon as possible. Instead, look to automate things whenever possible. For recurring day-to-day tasks that are taking up a big portion of your day, consider outsourcing or delegating them. One thing that I have also found to be helpful is organizing tasks based upon department or flow. Say you have some marketing tasks and accounting tasks to do. 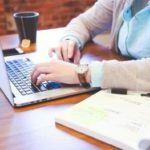 Assigning all of the marketing tasks to one time block, and all of the accounting to another will allow you to finish things quickly and efficiently and will save you from switching gears constantly. This method is especially helpful if you have a lot of tasks spread across a number of different departments. Finally, remember, your list is there to help you –not frustrate you, or waste your time. If you are finding the list too challenging to keep up with or too frustrating, then scrap it and start over. Do what works best for you and adjust it as you go. Don’t forget to check out helpful apps that can help to make life easier –there’s a huge range available for you to choose from including Todoist, Trello, and Any.do. Although, of course, some people prefer to use a good old-fashioned day planner or a plain text file in the computer. The form that your list takes isn’t important, what matters is whether it works for you. Find something that helps you to be productive, and start knocking things off your list! What do you use for your To Do list? An app or a planner? How do you stay on track?